As Chief Financial Officer (CFO), Mr. Robert Rabin draws on his 25 years of experience in the real estate and financial sectors. 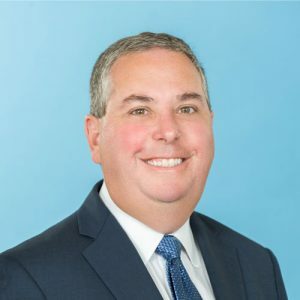 Mr. Rabin is responsible for all administrative and risk management functions, financial reporting and accounting support for the company’s real estate portfolio and corporate divisions. Prior to joining Penn-Florida, Mr. Rabin served as Executive Vice President – Operations, for First Service Residential (formerly The Continental Group). In this role, he led residential property management operations, managed the annual strategic planning process for their South Florida region, and oversaw IT, purchasing, project management, risk management and safety, client relations and operations support. His professional experience includes controller positions with RailAmerica, Inc. and PricewaterhouseCoopers.